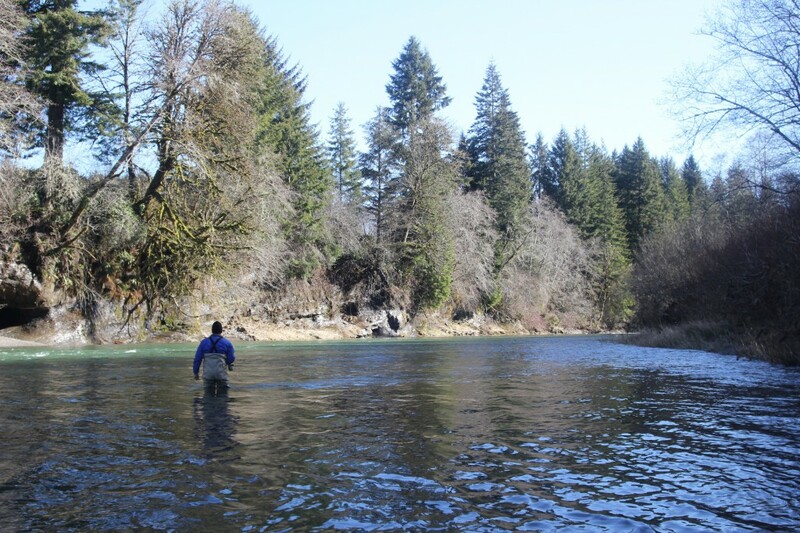 Winter trouting on the McKenzie is a great way to get out and get the jump on the season. 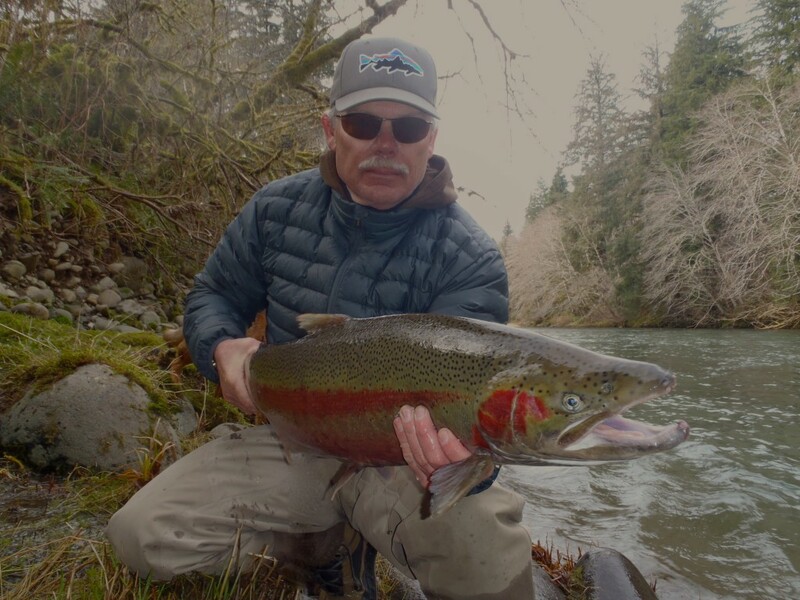 Redsides and cutthroat are on the grab whenever the river is in shape from here on out. 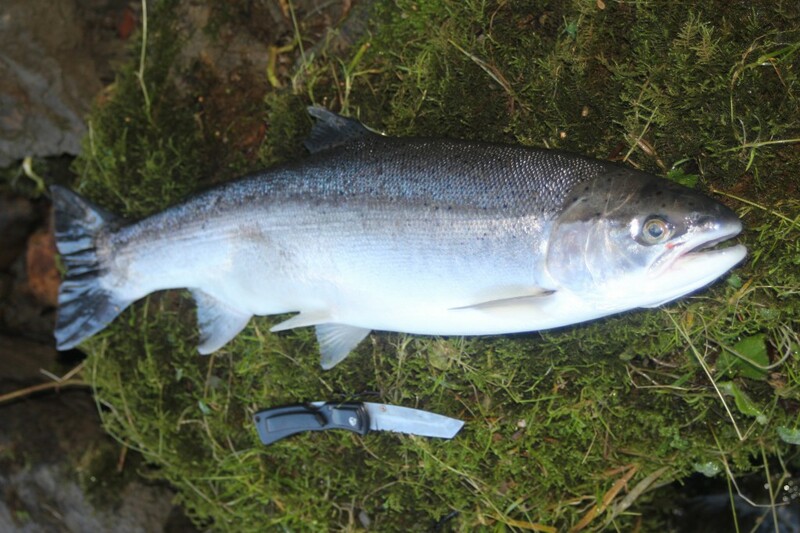 This can be the best time of the year to intercept trophy-class McKenzie Redside trout. 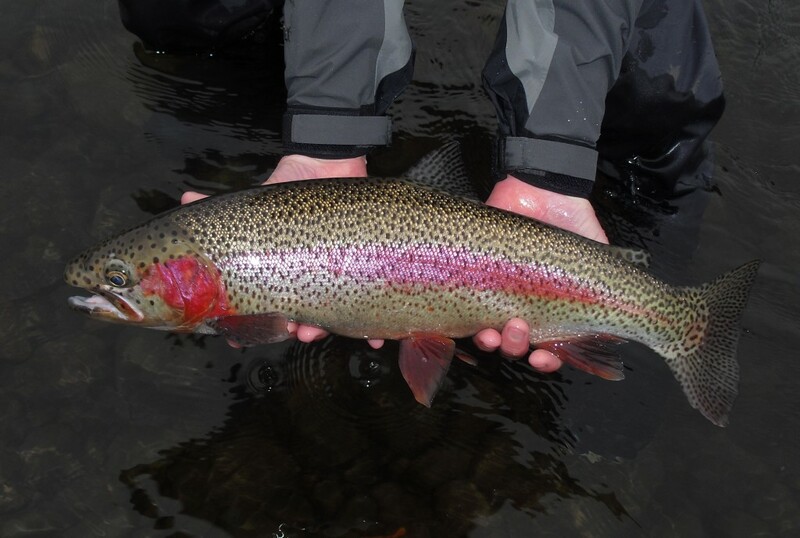 With the cold and predictably unpredictable weather, fishing tends to be best in the middle of the day, from noon to around 4 pm, and nymphing is generally the method of choice. 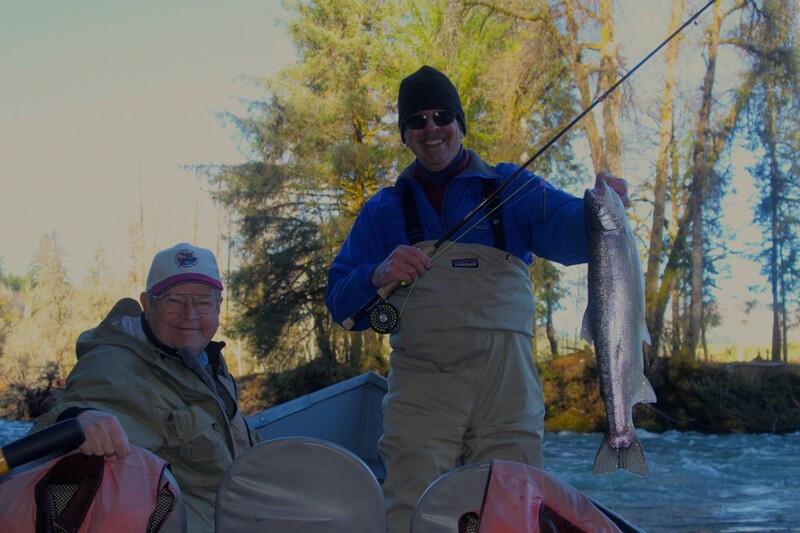 From now through April 20, 2012 we’re offering a Two Dudes McKenzie River Half-Day Trout Special: $275 for 1-2 anglers. This trip is timed to coincide with the best fishing hours, all tackle is provided, and does not include lunch (Of course, lunch is still available for all full-day trips at the standard rate). Contact the Dudes for available dates and details, and let’s get out there for some of the best wild trout fishing of the season! Oregon Winter Steelhead Report: The grab is on! 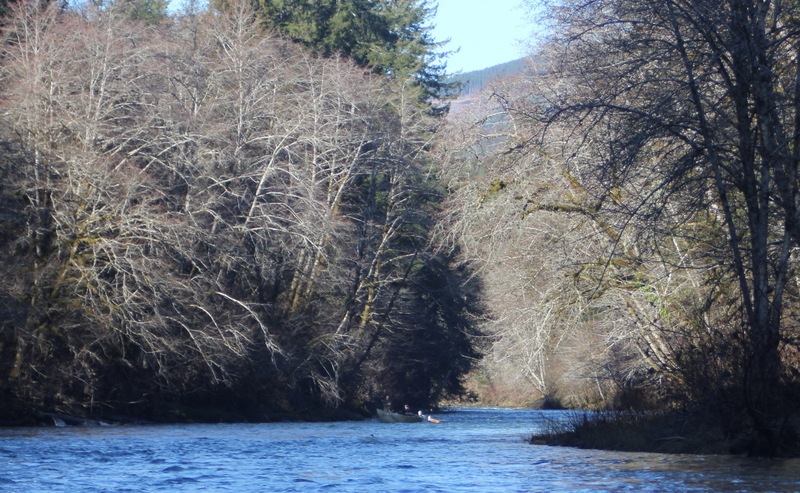 Rivers in Western Oregon are dropping and clearing after the last big weather event. A little over a week ago, waterways were at or over flood stage and the rain came pouring down. Since that time, as the floods have receded, there have been some great fishing days under high pressure with clear skies. In the last week many streams have become low enough that the bait fishermen have moved elsewhere, leading to light traffic and perfect fly fishing conditions. There has been a nice mix of fresh chromers and more “experienced” specimens as we have moved into the middle stretch of the winter season. Now is the time! Tight Lines!